Tamron has been specializing in super-zoom lenses for the last few years. You may be familiar with their 16-300mm, 18-270mm or 150-600mm lenses. Their newest super-zoom is an even more astonishing focal length, the Tamron 18-400mm. I recently had a chance to review this lens for a few weeks so I thought I’d give you an idea of who this lens is for, the good, the not-so-good, and my overall recommendation. Hot pink hardy hibiscus bloom. Canon 7D Mark II, Tamron 18-400mm lens @ 400mm, f/9, 1/160th, ISO 100, handheld. I know you already know this (because you read ALL my pieces for dPS, right? Right?!) but my lens reviews are pretty real world. I don’t sit in a lab or use techy gizmos to measure sharpness. I actually hold a lens in my hands and shoot with it. This lens was tucked in my favorite bag for most of August. That said, my intention was to see how a lens holds up for an actual shoot. 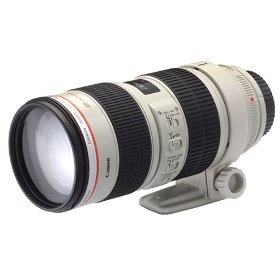 I used this lens to photograph Lipizzan horses at a dressage performance as well as at the racetrack. Then I used it on a mission to photograph old barns and finally to make some macro flower images. Lipizzan foal at Tempel Farms, Old Mill Creek IL. Canon 7D Mark II, Tamron 18-400mm lens @ 300mm, f/6.3, 1/640th, ISO 500, handheld. The goal was to make images at most focal lengths with a variety of apertures, but a few might have been skipped because I was really out there shooting. I shoot at the focal length, shutter speed, ISO and aperture that each situation calls for. So let’s just say I apologize in advance if I’ve skipped something important to you. Give me a shout in the comments if that’s the case. I’ll dig through my notes and image archives to see if I can answer your question. Let’s start off with a quick overview of the lens specs. This lens is for Nikon and Canon APS-C (crop sensor) cameras only. I tested the lens on a Canon 7D Mark II. The Tamron 18-400mm super-zoom is a variable aperture lens. Meaning that at 18mm, the maximum aperture (largest opening) is f/3.5. But when you zoom into 400mm, the maximum aperture is f/6.3. The minimum aperture (smallest opening) is f/22 at all focal lengths. Dilapidated red barn, McHenry County IL. Canon 7D Mark II, Tamron 18-400mm lens @ 71mm, f/9, 1/250th, ISO 200, handheld. The lens has an HLD Autofocus Motor that is quick and quiet for a consumer lens at this price. It also has Tamron’s standard VC Image Stabilization. This feature enables you to get sharper shots while hand-holding at longer focal lengths. The lens also has what Tamron calls Moisture-Resistant Construction. I’m relieved to tell you I didn’t get to test this feature. The minimum focusing distance – important especially if you want to try your hand at making macro images – is 17.72″ (45 cm). Macro is usually a 1:1 ratio and this lens only produces 1:2.9, but I was pleasantly surprised with my macro results. White hardy hibiscus bud. Canon 7D Mark II, Tamron 18-400mm lens @ 400mm, f/13, 1/320th, ISO 320, handheld. If you use screw on filters, like a circular polarizer, the front thread is 72mm. The lens is 1.56 pounds (710 g) and approximately 3.11” in diameter by 4.88″ in length (79 x 123.9 mm). It’s an incredibly compact lens for this focal length range. The price, at the time of publication of this article, is $649.00 USD. I would describe the ideal user of this lens as an amateur or enthusiast. If you’re an amateur photographer who travels but doesn’t want to carry more than one or two lenses, this is the perfect choice for you. With an 18-400mm focal length, you might not need to ever change the lens, except in a dark indoor situation, when you need either flash or perhaps the fast f/1.8 maximum aperture of a nifty fifty. Low-key portrait of a racehorse, Arlington Park IL. Canon 7D Mark II, Tamron 18-400mm lens @ 400mm, f/6.3, 1/250th, ISO 250, handheld. This lens would also be great for a busy parent who needs more than a smart phone to capture pictures of soccer matches and dance recitals but who doesn’t have a ton of extra room in her carryall bag. The compact size and weight of the Tamron 18-400mm make it an easy addition to any parent’s standard kit. The size of this lens just can’t be beat. At only a pound and a half and less than 5 inches long, it’s a lot of focal length in a very small package. I was really taken with how small it was since I normally shoot with such large neck-and-shoulder-busting glass. Hand-holding this lens for an afternoon at the race track wasn’t even remotely painful. With the insane focal length capabilities, I didn’t even bother to carry a second lens with me (or even my camera bag!) and that made for a really care-free afternoon. The Tamron 18-400mm lens, attached to the Canon 7D Mark II, with the Canon 100-400 lens alongside for size comparison. The extended Tamron 18-400 lens, attached to the Canon 7D Mark II, with the extended Canon 100-400 lens alongside for size comparison. Clearly you can see what a compact size this lens is and how beneficial that could be when you travel. It’s also a pleasure to catch a pretty landscape out of the corner of your eye and to simply zoom out to 18mm to capture it. Typically if you’re shooting with a long lens, you have to take the time to switch over to your wide-angle lens, take the shot and then switch back to your longer focal length lens again. Well, actually, if you’re me, you see that landscape and think ooh, pretty and then walk away without taking the shot. Arlington Park Racetrack IL. Canon 7D Mark II, Tamron 18-400 @ 18mm, f/13, 1/100th, ISO 320, handheld. Processed in Lightroom. I’m lazy that way so this was the first time I’ve actually made images of the racetrack itself. The lens performed really well in the 18-50mm focal range. It was both sharp and relatively distortion free. Lightroom’s Lens Correction easily managed the slight distortion there was too. Remember I said we’d talk about the not-so-good too? It is a touch tricky to twist the lens in order to zoom in past 200mm to get to the 400mm focal length. First, your hand gets a bit “stuck” since anatomically, your wrist only twists so far before you have to reposition in order to continue the twisting motion. Headed to the gate, Arlington Park IL. Canon 7D Mark II, Tamron 18-400mm lens @ 209mm, f/6.3, 1/1000th, ISO 250, handheld. Second, the lens has what I call a “hiccup” where you need to exert more pressure to push it past this point. I missed a few shots because the twisting motion wasn’t smooth enough and I jerked the lens a bit as I zoomed in from 200mm to 400mm. White hardy hibiscus bloom. Canon 7D Mark II, Tamron 18-400mm lens @ 227mm, f/13, 1/400th, ISO 320, handheld. There is a definite softness (or loss of sharpness) at the longer end of the lens, especially when your aperture is wide open, e.g., 400mm at f/6.3. If you crop in too much during post-processing or print too large, you’ll start to see the loss of fine details in your image since they weren’t tack sharp to start. You won’t see this loss of detail in a small 5×7″ print, or if you post to social media – so for many people, this actually won’t be a big issue. Riders up at the paddock, Arlington Park IL. Canon 7D Mark II, Tamron 18-400mm lens @ 18mm, f/5, 1/500th, ISO 640, handheld. If you predominantly shoot wide-angle images, like landscapes, and only occasionally shoot long, this lens will be a good fit for you when you don’t want to carry a ton of gear. Ultimately there were a number of things I really liked about this lens. The small size and super-zoom focal length make it a very practical tool to have in your bag. At $649.00 USD, it’s also a great value. However, the softness at the long end of that focal length can become a real issue if you’re not careful. Because of that, I’m cautiously going to rate this lens 3.5 stars out of 5. Running Lipizzan foal at Tempel Farms, Old Mill Creek IL. Canon 7D Mark II, Tamron 18-400mm lens @ 400mm, f/6.3, 1/640th, ISO 100, handheld. I’d love to hear your opinions too. Have you tried super-zooms lenses? Do they work for your type of photography? Which is your favorite one and how does it compare to the Tamron 100-400mm lens? Please share your thoughts with the dPS community in the comments below. Lara Joy Brynildssen is an avid equine, wildlife, nature and travel photographer. She is crazy about her cats, loves her Canon 5D Mark IV, and never refuses a sip of limoncello. More seriously, LJ is working on several series of wild horse images, writes about and teaches photography and exhibits her work in the Chicagoland area. Follow her at www.LaraJoy.us.